YellowAirplane.com: F4D Skyray Fighter Jet Model Airplanes, Metal Diecast Aircraft and Plastic Model Kits. 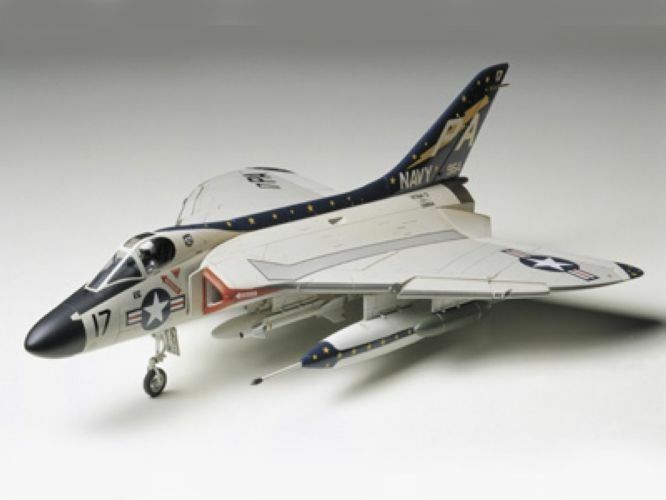 F4D Skyray Fighter Jet Model Airplanes, Metal Diecast Aircraft and Plastic Model Kits. F4D Skyray Jet Fighter Plastic and Diecast model kits. The F4D was an early model fighter jet used by the US Navy and was the US Navy's first supersonic Jet Fighter. F4D Skyray Jet Fighter y kits de plastico Diecast modelo. El F4D era un jet modelo de combate a principios utilizados por la Marina de los EE.UU. y fue el primero de la Armada de EE.UU. avion de combate supersnico. of the Jet Fighter Model Department. Douglas F4D Skyray collectable model airplanes, diecast metal aircraft, plastic model kits, mahogany display models and Aviation Art Posters. The Douglas F4D Skyray jet fighter offered reliable service as an airborne interceptor, and much like the original Thunderbird of that time period, its looks were somewhat racy, yet deeply inspired. The Douglas F4D Skyray, which was the U.S. Navy's first supersonic fighter, set several speed records but never saw combat. These Jet Fighter Models are Educational toys for both kids and adults. The models come in Pre Built Metal Diecast Aircraft, Plastic Model Aircraft Kits and Wooden Model Aircraft. The Specs on this page cover only one model of the F4D Skyray. There are many different models with different specs. F4D-1 Skyray, the first U.S. Navy and Marine Corps fighter capable of exceeding Mach 1 in level flight. Plastic kit of the Navy's only operational delta wing interceptor to-date. In the 1950's, the F4D-1 set several speed records but never saw combat. This poster depicts four of the U.S. Navy's most important early jet fighters: the F9F Panther, which was Grumman's first jet-powered fighter; the McDonnell F2H Banshee, which marked the beginning of McDonnell's long relationship with the Navy; the Vought F7U Cutlass, the first fighter with afterburners; and the Douglas F4D Skyray, which was the U.S. Navy's first supersonic fighter. 14"x 24" poster is signed by the artist. A reproduction of a previously classified U.S. Navy manual, this book provides unique insight into the F4D Skyray, which, as the last fighter produced by Douglas, was the first carrier-launched aircraft to hold the world's absolute speed record. You'll learn everything you need to know before entering the cockpit - just like the U.S. Navy and Marine Corps pilots who flew the aircraft from 1956 until 1964! 175 pages, B&W illustrations and photographs, 8"x 11", softcover. Story of the Douglas F4D Skyray and F5D Skylancer. Frankel. Filled with many never-before-published photographs, this book examines the development and operational history of the U.S. Navy's only operational delta-wing aircraft - the revolutionary Douglas F4D Skyray interceptor and its more advanced variant, the F5D Skylancer - from concept through flight testing, carrier qualifications, world speed and time-to-climb records, and Cold War service. 240 pages, 393 color and 117 B&W photographs, 8"x 11", hardcover. U.S. Naval Operations 1950-54 in Color. This DVD contains four, full-color, digitally re-mastered films produced by the U.S. Navy in 1952 to promote the important role the post-World War II fleet could play in Cold War conflicts. You'll see footage of angled-deck aircraft carriers, jet fighters, helicopters, and missiles and rockets, and, as an added bonus, you'll also get 1954's Report of the Navy, which highlights Korean operations and new aircraft such as the Sea Dart, Skyray, Cutlass and Skyrocket. 1 hr. 20 min. four of the U.S. Navy's most important early jet fighters: the F9F Panther, which was Grumman's first jet-powered fighter; the McDonnell F2H Banshee, which marked the beginning of McDonnell's long relationship with the Navy; the Vought F7U Cutlass, the first fighter with afterburners; and the Douglas F4D Skyray, which was the U.S. Navy's first supersonic fighter.